Address: Kanatal Resorts & Spa is in the mountains. .
37 air-conditioned guestrooms at Kanatal Resorts & Spa feature fireplaces and minibars. Rooms are all accessible via exterior corridors. Balconies offer city, mountain, or garden views. Beds come with Select Comfort mattresses, down blankets, and premium bedding. These individually furnished and decorated rooms include sofa beds and desks. Accommodations include refrigerators, espresso makers, and coffee/tea makers. Bathrooms feature shower/tub combinations with jetted bathtubs and handheld showerheads. They also offer makeup/shaving mirrors, bathrobes, and slippers. Kanatal Resorts & Spa's restaurant serves breakfast, lunch, and dinner. A bar/lounge is open for drinks. Room service is available 24 hours a day. Guests can enjoy a complimentary manager's reception on select days. Recreational amenities include an indoor pool, a health club, a sauna, and a steam room. The property's full-service health spa has body treatments, massage/treatment rooms, facials, and beauty services. This 4-star property has a 24-hour business center and offers a meeting/conference room, secretarial services, and audiovisual equipment. Complimentary high-speed (wired) Internet access is available in public areas. The property has 126 square meters of event space consisting of banquet facilities and exhibit space. The property has a train station pick-up service, which is complimentary. Business services, concierge services, and tour/ticket assistance are available. Guest parking is complimentary. 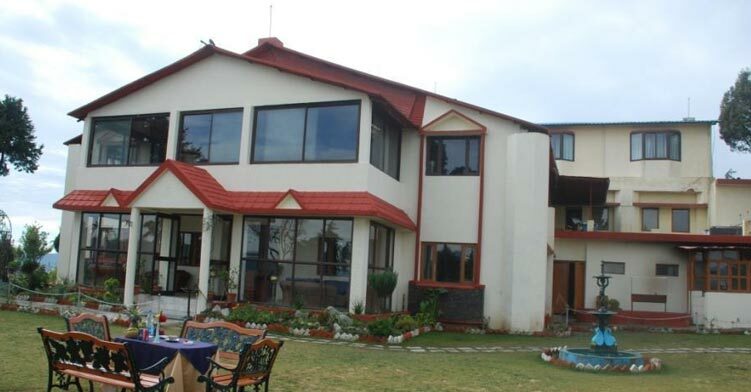 Kanatal Resorts & Spa is in the mountains.